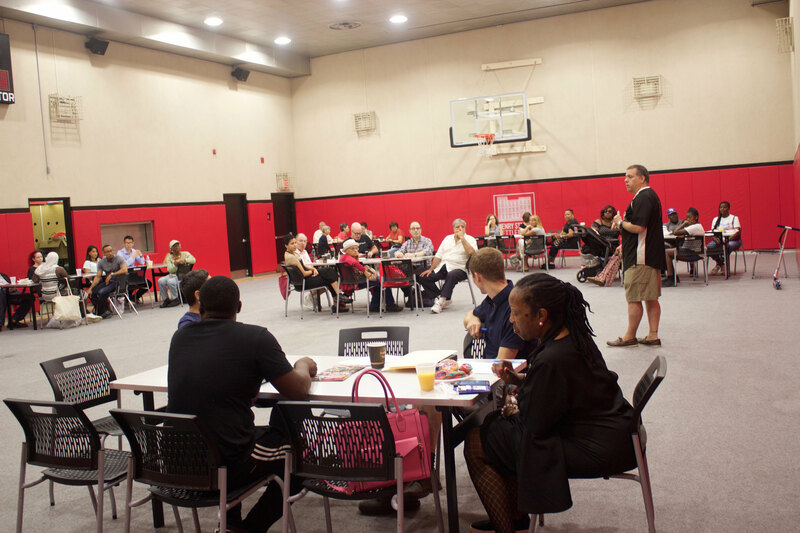 Above: Henry Street Settlement executive director David Garza addresses the Town Hall attendees at the most recent Town Hall meeting in September 2018. Looking for housing help? Join us Saturday, January 26, 2019, at 301 Henry Street, for a Housing Town Hall & Resource Fair. Housing Connect 101: Looking for Affordable Housing? Henry Street has hosted town halls each year since 2014, inviting community discussion of topics including housing and gentrification, education, and police-community relations. Summaries of our past findings are available on our website . For more information on this event see the flyer here, available in English, Spanish, and Mandarin.